Welcome to Mac’s Automotive & Radiator Repair of Boise ID! 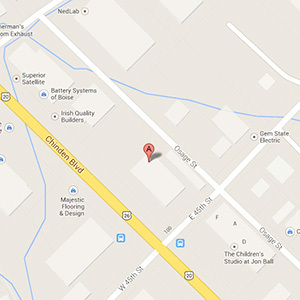 Our Mac’s Automotive & Radiator Repair location is right outside of Boise located on Chinden Boulevard. Our family is proud to have three generations invested in our business, and we are excited to be recognized nationally as a supplying and manufacturing leader for performance and vintage vehicle cooling systems. We also over a robust list of auto repair services including brake repair, steering and suspension services, and factory scheduled maintenance. You can be sure that when you come to Mac’s we are experienced and able to handle anything and everything! In addition to friendly and professional auto repair service, we also offer a 2 year/24,00 mile warranty on most repairs so you can feel as confident in our auto repair work as we do. For over 70 years, we have focused on providing our customers with great service, and we want you to have the best experience in Boise radiator repair and service. Our specialists have the expertise to service all foreign, domestic, vintage, and heavy duty vehicles. For more information, give us a call at (208) 344-1722. We look forward to seeing you!